Where should I begin? There is no easy way to describe this season for the Hornets, it has been riddled with injuries, chemistry issues, and rotation problems, but don’t all teams battle some of this? The answer is undoubtedly yes, but that should not have rolled over into this mess of a season you would not assume. As of right now the Hornets sit at five and a half games out of the playoffs with 22 games to go in the season. Nobody wants to be in the situation we have found ourselves in, but here we are. We have a lot of issues to address this off-season, and maybe the next several off-seasons, but let’s take a look at everything that has gone wrong and needs to be addressed. The first and most immediate mistake is the cap situation. We have dug ourselves a hole by offering Nic Batum, MKG, and Marvin Williams long term, high salary contracts. This is easily the hardest to work with, it makes trades difficult to make because you have to fit it into your salary, and during free agency you can’t really sign anyone who will make a significant difference. What you do with these bad contracts though is the real problem. Nobody wants to touch our contracts, and I do not blame them. Who knows what the front office was thinking giving these players as much as they did, but they better figure a way to get out of it. At this point if you can get any one of MKG, Nic, or Marvin off the team without losing Kemba you do it. They are all good supporting pieces, but none of them are worth the money, nor good enough to play in the role we have them in. The next issue is one I think has caused the majority of our problems, and that is Rich Cho. When we first got Cho, I was excited I felt hope for the organization. He has been nothing less than exceptional in trading, but I think it needs to be accepted by everyone he has sucked at drafting and signing. Cho’s contract is up after this season and he has to be out the door, hopefully for someone that if nothing else will hopefully be a competent drafter. We could also take the route the Panthers did several years ago, signing Dave Gettleman as GM to manage the cap. He was ultimately too conservative, but he was able to make tough decisions that many people would hesitate to do. The third problem that this team has is bench production. We have overpaid the starters and now have no cap to improve the bench through free-agency, so the only to ways left to strengthen it for cheap is internal improvement (Monk, Bacon, Hernangomez), or by drafting quality pieces. A backup point guard has to be priority one, but I think a replacement for Frank is easily second. I have had my limit with Frank, and I want him traded more than anyone. Watching Frank back down a point guard when he gets the switch, only to turn and do a dirk fade away is enough to make me break my TV, not to mention his incompetent shot selection. Just because of his annoyance alone I could easily move his replacement to the top priority, but I’m being realistic. At the end of the day, the blame does not lie on Kemba Walker, Dwight Howard, or coach Cliff. Following the trade deadline Howard seems to have taken a step back, but looking at the season as a whole he has played fantastic. Calling for a new coach also just is not reasonable. Cliff is a very strict all business coach who many teams would love to have, we have just offered him nothing to work with outside of Kemba which obviously isn’t enough. And finally, the case for Kemba, if you wanted him traded before the deadline you have lost your mind. If you live Outside of Charlotte like me, I can promise there are very little Hornets fans, and when I happen to see a Hornets fan I always go out of my way to speak to them. More times than not they want to talk about Kemba, or only know Kemba. Without Kemba all these fans would be gone, I promise. This season has been a catastrophe, but lets be cautious where we place the blame, and what we want the team to do. Nic Batum has been the basis of my frustrations through the first half of the Hornets season. My anger with Batum isn’t his play style, I understand the type of player he is and I realize he is not going to change, but my problem lies in the difference in his production from the 2015-16 season to now. It isn’t that I feel he needs to change his play style to be effective like some couch coaches, it is that I have seen him be much more effective before by playing the exact same way. In the 2015-16 Batum was very talented, talented enough to land him a 120-million-dollar contract over the course of 5 years. Looking back to when we gave Nic this handsome contract, we had just come off of a playoff series which saw us lose to the Miami Heat in the first round of the playoffs. This team looked to have a lot of potential, and one of the key players who had an expiring contact was Batum. Entering the off-season, we let Jeremy Lin walk, and signed Batum with the expectation being he would continue to improve adjusting to being a leader of this team, and hopefully help Kemba change the narrative of this franchise by leading us to more playoff consistency. Fast forward to today and none of that has come to fruition, we failed to make the playoffs last season and we are currently sitting 5 games out of the 8th seed half way through this season, and something needs to give. So far, the team has yet to remove Batum from the starting lineup following disappointing outings and fourth quarter struggles, as if they are still trying to justify the contract given to him. If the coaches are not yet willing to move him into a 6th man role, he is going to have to shoot the ball. As it stands Nic is averaging 10 points per game and that just isn’t going to cut it for 30 minutes per game and 20 million dollars a year. He has all of the scoring ability he needs to average a solid 15 to 18 points per game and the idea that he is a facilitator should not be an excuse. Last season Batum averaged 15 points per game to go with 6 assists, while this year his assist total has dipped to 4.7 per game along with his scoring dropping back to 10 points. This proves he can score and pass effectively at the same time, it all just depends on his aggressiveness. When Batum is making it a priority to score and pass equally it forces defenses to focus more on him, and opens up passing lanes for everyone around him. His best version is when the defense never knows if they should expect the pass or the shot and that is the Batum we need. If Batum can’t find a balance, and the coaching staff refuses to bench him, then Batum, and the team is in hot water. Our hopes to salvage this season rely on this dilemma and it definitely should not be overlooked. Nic might be on the trading block soon if this continues, and we could be looking at more lottery picks for the next couple of years if his contact is not unloaded. We will have no cap flexibility in the FA market, and Batum will continue to soak minutes from developing players on the roaster if this turns out to be the case. With all of this being said, I still have a glimmer of hope for Batum and our season. Batum is a very intelligent player and I know he has produced at higher levels before. Clifford is also returning Wednesday, which could produce different results from what Stephen Silas has been receiving. Also, five games out of the 8th seed is not insurmountable, so if things begin to click at the right moment we could manage to recover from this disappointing season so far. I have not given up hope on our season yet, but we are beginning to run out of time to recover. 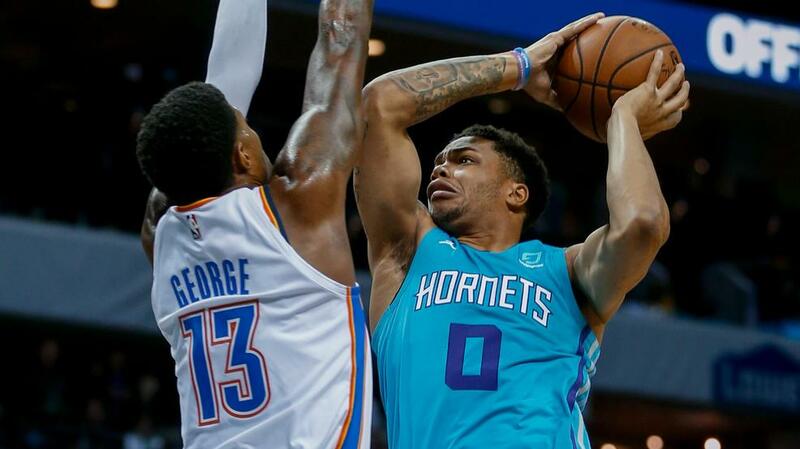 The Charlotte Hornets are currently sitting at 11-19 coming off of a much-needed win against the New York Knicks, and the team is on the verge of chaos. Every night it feels like the Hornets are losing by 5 or 10 coming down the final stretch in the fourth, only to get inches away from swinging the momentum before allowing the opponent to go on a game ending run. They are currently 3-7 in their last 10 games and it has been filled with stagnant offense and no defense. As much as I want to be surprised by how this season has unfolded, this is the Charlotte Hornets, and I have become accustomed to being disappointed by what I am watching. The motto of this team is take one step forward and two steps back, and it looms over the franchise like a curse. The organization has run the team as if we are just trying to make the playoffs and build from there, which was acceptable when we where a younger team, but that time has passed. With Kemba in his prime and the team stuck spinning their tires in the dirt, it is time for the organization to make a choice. Right now, they can either go for broke and trade/sign for the biggest possible piece on the market and hope you can become good enough to compete with Cleveland or Boston, or blow up the team and hope for a once in a lifetime player like Giannis Antetokounmpo or Kristaps Porzingis in the draft. In a perfect world, if we were to blow up the team and tank, we would get high draft picks and build with several young and promising top ten draft picks. The problem with that is we have already done it, and we got nowhere. We have had multiple lottery picks and they have all been busts, with the exception of Kemba Walker. Recently we have had picks No.2 (should’ve been 1), No.4, and No.9 three times. With these top 10 picks we came out with MKG, Cody Zeller, Noah Vonleh who was traded a season in, Frank Kaminsky, and Kemba Walker. While MKG, Cody, and Frank are all nice supporting pieces, they were all three busts compared to where they were drafted. With all of this being said, we are left to question if we want to risk tanking. If we are not able to turn this season around in any way, I think our only option is to tank this offseason. Now that we have ruled out tanking for the time being, that leaves us to make a big trade or signing in free agency this offseason. We are not going to go sign the biggest name free agent because of our market. In the NBA, stars sign with teams in big markets that have other big-name players, and the Hornets have neither. Kemba is extremely underrated but still not on the level needed to attract a consistent All-star. Making a trade is our best shot at saving our season, and possibly saving the seasons to come. If there is one thing Rich Cho has thrived at, it is trades, and right now we need a big trade more than ever. Several in-season trades have boosted our season before (ex. trading P.J. Hairston and Brian Roberts for Courtney Lee), but with the severe holes this team seems to have we need something more than a low radar trade. I think you have to start by addressing the wing rotation and depth. Whatever trade the team makes it must involve one of Nic Batum, MKG, and Marvin Williams, or maybe a combination of two. All three players have been amazing for the organization at some point or another but it is time to cut ties. Something isn’t clicking in that area of the lineup and all it takes is watching one game to recognize it. Not only is something not clicking, but Dwayne Bacon, Malik Monk, Treveon Graham, and Johnny O’Bryant have all played well enough to receive more minutes. A trade with two of the mentioned players would clear minutes for the younger players, while also possibly bringing in a wing player that could contribute much more than what we are getting right now. The biggest problem is finding someone who wants Marvin, MKG, or Nic with their massive contracts and inconsistent play through the first 30 games, but if Cho is able to trade the Miles Plumlee contract for Dwight Howard then he can do anything. It is not too late to salvage the season, but as of right now it would not be a bad idea to prepare for the worst. Our backs are against the wall and the next five games go Raptors, Bucks back to back, Celtics, and Warriors. Are the Charlotte Hornets Capable of Reaching the Eastern Conference Finals? After a horrible 6 game losing streak, we have officially seen the highs and the extreme lows of the Charlotte Hornets. While the season is still early, it is fair to say that they will not get much worse than they were in those 6 games, barring a significant injury to a key player. This horrid stretch was riddled with stagnant offense, an incompetent defense, and much like last year a knack for blowing 4th quarter leads. Granted this did come at the hands of MKG and Nic being absent for a majority of the stretch, it was still very alarming to watch. With all this being said we have also been able to see a side of the Hornets that looks like it could compete for the Eastern Conference Finals. The difference in these two sides is night and day, Howard is putting up crazy numbers, the team is moving the ball, and the bench is providing instant offense. While we would all prefer the latter, is it fair to believe it can be sustained? The first thing that needs to happen if the Hornets are going to reach the Eastern Conference Finals is more consistency, and not just with their level of play. The energy needs to be more consistent. At the start of the season you could feel the energy they were playing with almost every game, but during the last 10 games it has been stagnant. If they can sustain energy from game to game and more importantly for the entire game, it will be a huge step in the right direction. Another area the Hornets need to get more consistent in is Clifford’s rotations. The team has played well together, but it is harder for players to be prepared when they are exiting and entering the game at times they are not expecting. The biggest player having to work with this is Malik Monk. Clifford has been inconsistent with the minutes he has given to Monk and that lack of consistency can be crippling for a rookie. There have been games when Monk plays all the way to the end of the 4th like at the Knicks, and others like the two home games against the Clippers and Wizards where he did not touch the court. 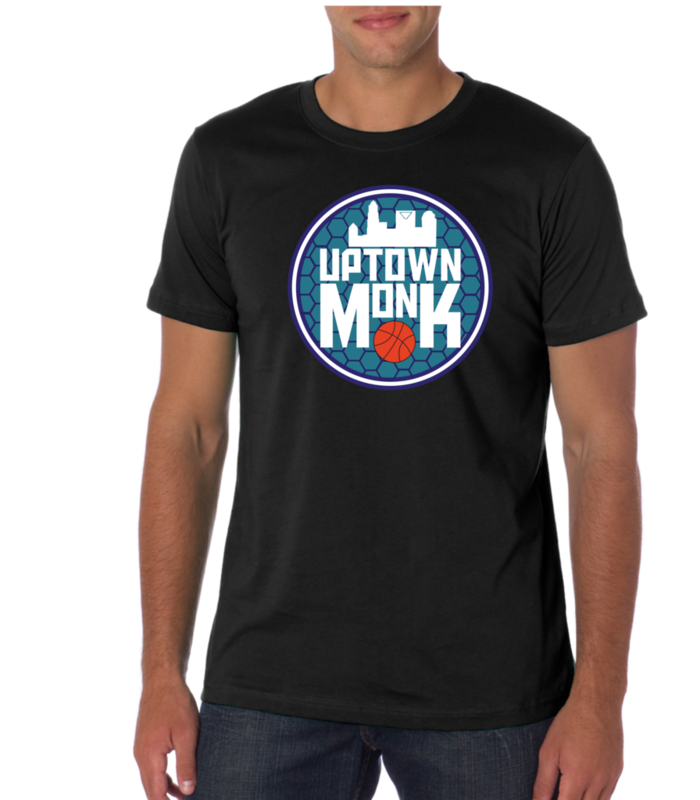 Monk also is not ready to play yet I personally believe, but in his defense when the minutes are inconsistent it is hard to always be prepared. All of the lineup confusion can be attributed to the erratic injuries that have plagued the team up to this point. With a lack of all-stars in the east due to free agency, and no real impressive team other than the Boston Celtics who are without Gordon Hayward, the Hornets should be able to compete with anyone in the Eastern Conference. They have already beaten Milwaukee and Washington who are considered to be two contenders in the East, and they seem to be a different team in The Hive with a record of 7-2. The biggest problem the team has is winning road games, which can really haunt you come playoff time. They have only won ONE road game the entire season while losing 8, which is not promising for the rest of the season. Hovering around a .500 road record is good, but going 1-8 on the road to begin the season is horrendous. The deciding factors for if the Hornets can make the ECF will be determined by their ability to win road games, stay healthy, and play with consistency, not their ability to beat other teams in the east. We are capable of beating any team on any night. If we can progress in these three things we could be looking at a competitive series in the second round of the playoffs, and be fighting for an Eastern Conference Finals playoff bid. We are five games into the NBA season and we finally have a good enough sample size of the team to formulate our opinions on the 2017-18 Charlotte Hornets. The Hornets are currently 2-3 and have shown tremendous upside, while falling just short to a very good team in the Milwaukee Bucks with potential future league MVP Giannis Antetokounmpo. Through these first five games though, one thing has stood out: We are going to be one of the few teams to rely heavily on our big men. In a basketball era where every team wants to chuck threes we have accepted the fact that isn’t our identity. We haven’t been able to see Cody Zeller suit up but for one game this season so it is difficult to measure how he will mesh with Dwight Howard, but we do know he is not going to be a stretch center who launches threes. The big surprise though has been how well Frank Kaminsky has played during the absence of Cody, and how surprisingly well he has been able to fit alongside Howard this quickly. Howard himself has also been stellar early on, averaging 14 points a game to go along with 17 rebounds. Let’s dive into what kind of an impact these two have made thus far. Dwight Howard has been dominant, to say the least. Howard has averaged 14 points and 17 rebounds, and not on bad competition either. Howard has been able to do this going up against Andre Drummond, Nikola Jokic, and Clint Capela who tailed 20 rebounds and 16 points against Joel Embid’s 76’ers. This is very promising and could be a sign Howard has finally found a place he is wanted and can be productive. While I do not expect him to sustain this level of play I do think it is reasonable to think he will be able to put up these numbers every few games. The most important factor Howard brings us though, is his presence down low. I remember during the “revenge game” against the Hawks, Dennis Schroder took several drives past Kemba only to meet Howard and throw up a floater before getting close enough to attempt a layup. While this may seem small it plays a huge factor into each possession, it now becomes how to I get to the basket, and when I do how am I going to put it in? This leads to many mistakes, bad shots, and the occasional D12 swat whenever they forget about his presence. Frank Kaminsky has been a totally different player at the start of this season, compared to last season. For the majority of last year, I did not want him to touch the ball or even be on the court. This season has been totally different, Frank has been very impressive and has sustained this level of play for more than just a few possessions. I am still very nervous to see him attempting to handle the ball, but he hasn’t given me a reason to yell at the TV incessantly…yet. If Frank is able to continue this level of play I will definitely consider erasing how he performed last year from my memory. As long as he doesn’t fall back into his poor habits of taking bad shots and playing bad defense he should be able to find success the rest of the season.